2012’s Sinister was written and directed by Doctor Strange foreman Scott Derrickson, who has spent his career on a carousel of horror. Clearly more of a talent here than in the coliseum of superhero novella, Sinister is one of the more notable films of the genre in the last decade. 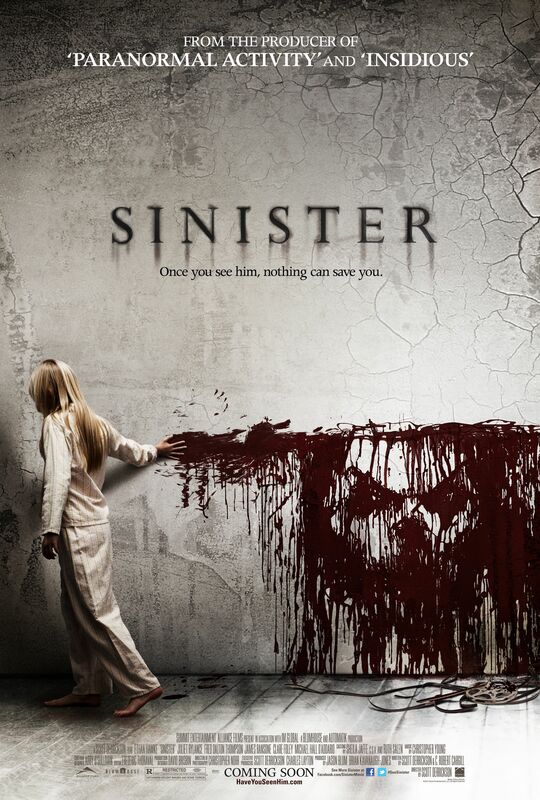 Sinister was sponsored by Blumhouse, a company that is both a beacon and blot on the brand. Blumhouse has demonstrated that the need to throw millions at a movie in order for it to succeed does not exist. A film can succeed on its merits alone, an important statement. Great ideas should not be skipped over because a major studio has no interest in producing them. It is of great value that art not be controlled by the business moguls, but by the artists themselves. In a way, Blumhouse gave that power back to them, while also giving studios a lesson in theatrical enterprise. The less your story costs, the easier it is to make a profit. The downfall to this noble approach is some expulsion of honest theater and the arrival of swindlers seeking to make a quick pay day. One of the more attractive qualities to art, at least to me, is its honesty and the pedigree to which it and its practitioners hold themselves. It’s purposefully free, restricted only by the artist’s hand. Blumhouse has unintentionally spoiled the soil. And look, film making has never been perfect. There have always been hacks trying to discover how to cheat the system or novices that throw scripts together to get a project over with, but I find the horror scene has been overflowing with them, which is a shame, because horror used to be so good. I think it can be, but if there was a staple that needed a renaissance, it would have to be horror (with comedy not too far behind). What made horror so great back in the day was character. Yes, there were great slasher flicks back then as well, but even character drove those. Halloween is nothing without Michael just as Friday the 13th is nothing without Jason. Character is what drives a story, no matter the mode. I’m talking about movies like The Shining and The Silence of the Lambs, movies with characters so dynamic and so twisted it made your blood flow like a river. Sinister isn’t a classic, but it does rely heavily on lead Ellison Oswald, played by Ethan Hawke. A true crime writer with an attraction to the grotesque, Ellison moves into the house where a family was murdered with the hopes of discovering what happened to the girl who vanished from the family. In addition to being a film about mass murders and the vile routes one will go to end a life, it’s also about the seductiveness of ambition. Ellison finds a rack of 8mm tapes, all showcasing a family execution, but driven by his desire of fame and fortune, decides not to report it to the police. Ellison once had great success with Kentucky Blood, his best work, but has been unable to find that grandeur since and he’s thrust himself into obsession chasing it. The story is as much about the paranormal and ghastly crime scene details as it is about the psychological torture that Ellison is putting himself through trying to capture this nagging feeling of resolve. It clouds his judgment and very quickly, he realizes he has screwed up. There’s a scene later in the film where Oswald is watching interviews he did following the release of his big hit, a questionnaire where he talks about how the justice of the victims is far more important than his individual accolades. It’s at this point that he realizes he’s changed, and yet still, he doesn’t turn back. This character dilemma produces a reason for Oswald to push forward in circumstances where nearly everyone else would do the opposite. The scenes where you’re asking, “Why doesn’t he leave?” or “Why would you open the door?” aren’t here. This is a genuine person whose job and life purpose has become going forward. As seen above, Derrickson does not allow his characters to be the mortar of the story, an important distinction. Characters, in my eyes, should never be the filler. They should be the fountainhead, the first thing that comes up in word association. If you’ve ever watched a slasher flick, you know that is not always the case. Blase characters are easy to remove and almost effortless to write. A true penman possesses the equanimity to pore over his work for days on end, fine tuning his art with the compulsiveness of an addict and commitment of a soldier. With writer C. Robert Cargill molding a capacious lead and hypnotizing creation, Derrickson is free to devote his time to tone and lighting. The film features plenty of shadow work and red-tinted shots to add an unsettling atmosphere to the main cogs of the piece, only drawing you in more. My score for Sinister: 85. Sinister‘s best allegory is a black hole. It is enormously dark but increasingly enticing and soon, it’s pulling you in and it’s too late to escape. Like the abyss, Sinister is complex and inquisitive, the equilibrium of curiosity and patience. It’s one of my favorite horror films of late.